OneHockey Waiver and Service Agreement 1. Release of Liability: It is the purpose of this agreement to exempt, waive and relieve releases from liability for personal injury, property damage, and wrongful death, including if caused by negligence, including the negligence, if any, of releases. "Releases" include OneHockey, Inc., its affiliate associations, local associations, member teams, event hosts, other participants, coaches, officials, sponsors, advertisers, and each of them, their officers, directors, agents, and employees. 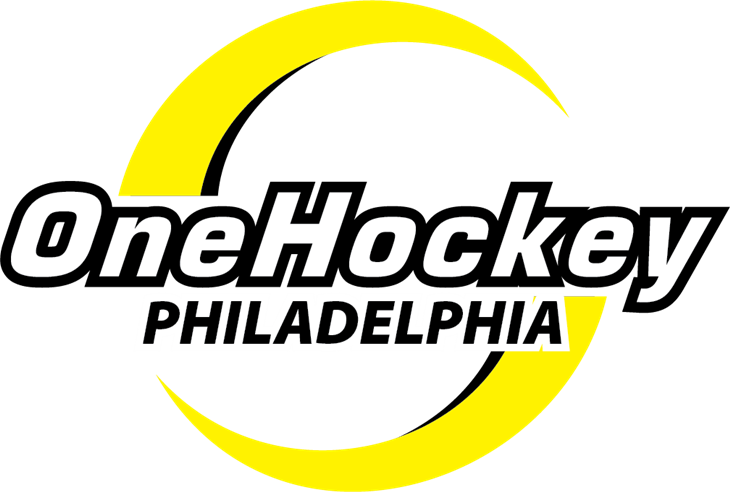 For and in consideration of the undersigned participant's registration with OneHockey, Inc., its affiliates, local associations and member teams and being allowed to participate in OneHockey events and member team activities, participant (and the parent(s) or legal guardian(s) of participant, if applicable) waive, release and relinquish any and all claims for liability and cause(s) of action, including for personal injury, property damage or wrongful death occurring to participant, arising out of participation in OneHockey events, member team activities, the sport of ice hockey, and/or activities incidental thereto, whenever or however they occur and for such period said activities might continue, and by this agreement any such claims, rights, and causes of action that participant (and participant's parent(s) or legal guardian(s), if applicable) may have are hereby waived, released and relinquished, and participant (and parent(s)/guardian(s), if applicable) does(do) so on behalf of my/our and participant's heirs, executors, administrators and assigns. Participant (and participant's parent(s)/guardian(s), if applicable) acknowledge, understand and assume all risks relating to ice hockey and any member team activities, and understand that ice hockey and member team activities involve risks to participant's person including bodily injury, partial or total disability, paralysis and death, and damages which may arise therefrom and that I/we have full knowledge of said risks. These risks and dangers may be caused by the negligence of the participant or the negligence of others, including the "releasees" identified below. These risks and dangers include, but are not limited to, those arising from participating with bigger, faster and stronger participants, and these risks and dangers will increase if participant participates in ice hockey and member team activities in an age group above that which participant would normally participate in. I/We further acknowledge that there may be risks and dangers not known to us or not reasonably foreseeable at this time. Participant (and participant's parent(s)/guardian(s), if applicable) acknowledge, understand and agree that all of the risks and dangers described throughout this agreement, including those caused by the negligence of participant and/or others, are included in the waiver, release, and relinquishment described in the preceding paragraph. Participant (and participant's parent(s)/guardian(s), if applicable) acknowledge, understand and assume the risks, if any, arising from the conditions and use of ice hockey rinks and related premises and acknowledge and understand that included within the scope of this waiver and release is any cause of action (including any cause of action based on negligence) arising from the performance, or failure to perform, maintenance, inspection, supervision or control of said areas and for the failure to warn of dangerous conditions existing at said rinks, for negligent selection of certain releasees, or negligent supervision or instruction by releasees. If the law in any controlling jurisdiction renders any part of this agreement unenforceable, the remainder of this agreement shall nevertheless remain enforceable to the full extent, if any, allowed by controlling law. This agreement affects your legal rights, and you may wish to consult an attorney concerning this agreement. Participant (and participant's parent(s)/guardian(s), if applicable) agree if any claim for participant's personal injury or wrongful death is commenced against releasees, he/she shall defend, indemnify and save harmless Releasees from any and all claims or causes of action by whomever or wherever made or presented for participant’s personal injuries, property damage or wrongful death. Participant (and participant’s parent(s)/guardian(s), if applicable) acknowledge that they have been provided and have read the above paragraphs and have not relied upon any representations of releasees, that they are fully advised of the potential dangers of ice hockey and understand these waivers and releases are necessary to allow amateur ice hockey to exist in its present form. 2. Overnight Hotel Requirements: OneHockey tournaments are Stay to Play, and ALL players and coaches are required to stay at a hotel booked within Game Time Travel Solutions website. If teams and players do not comply, they will be removed from the tournament, and no refund will be due. 3. No Refund/Cancellation Policy: The registration fee is nonrefundable. There are no refunds or cancellations prior to the event unless OneHockey cancels a division or tournament due to lack of registered teams. No refunds will be made based upon circumstances beyond OneHockey's control- please see #5 below. If for any reason you cannot attend, you may send a substitute in your place or transfer to another event. All transfer requests are subject to an additional $200 fee. No exceptions, please. 4. Registration Fees: All registration fees must be paid in full no later than 90 days prior to the event. Teams are not considered 100% confirmed until the registration fees are paid in full. 5. Refund Requests: Any and all modification requests to OneHockey's Refund Policy must be submitted in writing and should the request be approved both parties must sign a refund agreement. OneHockey is not responsible for a team or individual registration fee refunds or any travel related expenses. One Hockey reserves the right to reschedule or modify this event at any time and is held harmless for acts of war, nature or catastrophe off any kind, travel complications, or Force Majeure. In exception, the obligation to pay for services rendered, neither party will be liable for any failure or delay in its performance due to any cause beyond its reasonable control listed above and the delayed party is required to (i) give the other party notice of such cause, and (ii) use reasonable efforts to correct such failure or delay in providing services. 6. Billing Disputes: Each customer agrees to provide OneHockey 30 days to attempt settlement of any billing dispute before disputing with any third-party credit/debit card or bank. OneHockey must be the first option in billing disputes. Should OneHockey receive a credit card dispute from a third-party credit/debit card or bank on the customer's behalf before OneHockey has been given a chance to resolve the issue, OneHockey has the right to collect on the rendered services and any fees associated with those disputes. Regardless of the outcome of the credit card dispute. OneHockey retains the right to collect on any rendered services or fees that are due and will submit any disputed amounts to a collection agency. Once a credit card dispute has been received, OneHockey will immediately suspend services until the matter is resolved. OneHockey reserves the right to terminate service for any Customer at any time at its sole discretion. Credit card disputes (charge-backs): A licensee is required to complete a registration form which bears legal mandate that the attendee has accepted the "Cancellation Policy." Unwarranted credit card disputes will revoke any refund exceptions. OneHockey may asses a $500.00 processing fee for each individual credit card dispute. In the event, an account is submitted to a third-party collections service, a $100.00 processing fee may be assessed to the existing account balance. This is in addition to any other fees previously assessed on the account. We will adhere to our contract. In addition, any false, negative or disparaging comments regarding OneHockey, or anyone associated with our tournaments will be subject to civil action. (see section 9 - Disparagement) 7. Registration Application: Any untrue and inaccurate information submitted by the applicant during the registration process shall be construed against the applicant and may disqualify the applicant's team or individual player from a refund exception. 8. First Day Tournament Schedule: In order to ensure that all teams receive their game minimum, every team must be prepared to begin games as early as 7:00 am on the first day of the tournament. Any exception request to this policy must go directly to Sharon Cullen in writing (sharonc@onehockey.com). All requests will be will be responded to within 48 hours. 9. Disparagement: The signer of this contract (Customer) agrees to contact OneHockey directly with any discrepancies and agrees not to attack/criticize OneHockey or any of its employees, events, and services (on any public forum, blog, social network, etc.) at any time, in a way which brings a bad name to OneHockey or anyone associated with our tournaments. Be advised OneHockey brings civil actions against parties for making or publishing false, negative or disparaging comments on the Internet. If yes, how many rooms do you anticipate needing? If you are registering two teams as part of the Buy One Get One Half Off Promotion, please enter which other tournament you will be registering for along with any registration notes.